Azure Site Recovery orchestrates and manages disaster recovery for Azure VMs in Azure Cloud, and on-premises VMs in VMware, System Center VMM and physical servers. Hard disk format VHD or VHDX. Azure Site Recovery automatically converts VHDX to VHD when you fail over to Azure. When you fail back to on-premises VMs continue to use the VHDX format. Bit-locker Not supported. Disable before you enable replication for a VM. VM name Between 1 and 63 characters. Restricted to letters, numbers, and hyphens. The VM name must start and end with a letter or number. Reprotect the Azure VMs, so that they start replicating back to the on-premises VMware VMs. Fail back from Azure Site to On-prem Site. After data has failed back, re-protect the on-premises VMs that you failed back to, so that they start replicating back to Azure site. Sign into the Azure portal using Global Admin, Click Menu, click New>Storage>Storage account>Add to create a new Storage Account. Select the geographic location for your storage account. The storage account must be in the same region as the Recovery Services vault. For these tutorials we use the location Australia East. In the Azure portal menu, click New > Monitoring & Management > Backup and Site Recovery. In Name, specify a friendly name to identify the vault. For example CorpVault. Select the existing resource group named CorpRG. Specify the Azure region Australia East. Windows Local Admin Permissions: Make the service account SVC-AzureSR a Member Off Domain Admins or Local Admin Security Group on the VMs where Azure Mobility Services Software will be installed. Be sure to allow IP address ranges for the Azure region of your subscription. Any IP address-based firewall rules should allow communication between On-prem infrastructure to Azure Datacenter IP Ranges, and ports 443 (HTTPS) and 9443 (data replication). You have to allow these IP ranges in your on-prem firewall for example Cisco ASA and Cloud Firewall such as Azure NSG. 2. On the on-premises machine before failover, check that the Secure Shell service is set to start automatically on system boot. Check that firewall rules allow an SSH connection3. On the Azure VM after failover, check Boot diagnostics to view a screenshot of the VM if you can’t connect. Make this VM has access to internet and browse Azure Cloud storage account. Open the Azure portal and click on All resources. Click on the Recovery Service vault named ContosoVMVault. Click Site Recovery > Prepare Infrastructure > Protection goal. Select On-premises for where your machines are located, To Azure for where you want to replicate your machines, and Yes, with VMware vSphere Hypervisor. Then, click OK. In the Prepare source pane, click +Configuration server. 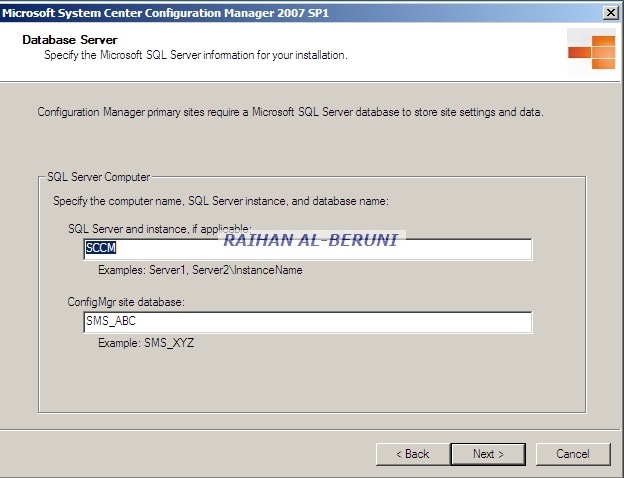 In Add Server, check that Configuration Server appears in Server type. Download the Site Recovery Unified Setup installation file. Download the vault registration key. You need this when you run Unified Setup. The key is valid for five days after you generate it. Run the Unified Setup installation file. In Before You Begin, select Install the configuration server and process server then click Next. In Third Party Software License, click I Accept to download and install MySQL, then click Next. In Registration, select the registration key you downloaded from the vault. In Internet Settings, specify how the Provider running on the configuration server connects to Azure Site Recovery over the Internet. If you have an internet proxy server, provide the proxy details here. In Prerequisites Check, Setup runs a check to make sure that installation can run. If a warning appears about the Global time sync check, verify that the time on the system clock (Date and Time settings) is the same as the time zone. In MySQL Configuration, create credentials for logging on to the MySQL server instance that is installed. In Environment Details, select Yes to protect VMware VMs. Setup checks that PowerCLI 6.0 is installed. In Install Location, select where you want to install the binaries and store the cache. The drive you select must have at least 5 GB of disk space available, but we recommend a cache drive with at least 600 GB of free space. In Network Selection, specify the listener (network adapter and SSL port) on which the configuration server sends and receives replication data. Port 9443 is the default port used for sending and receiving replication traffic, but you can modify this port number to suit your environment’s requirements. We also open port 443, which is used to orchestrate replication operations. Do not use port 443 for sending or receiving replication traffic. In Summary, review the information and click Install. Setup installs the configuration server and registers with it the Azure Site Recovery service. When installation finishes, a passphrase is generated. You will need this when you enable replication, so copy it and keep it in a secure location. The server is displayed on the Settings > Servers pane in the vault. On your configuration server, launch exe. It is available as a shortcut on the desktop and located in the install location\home\svsystems\bin folder. Click Manage Accounts > Add Account. In Account Details, add the account that will be used for automatic discovery. Select +vCenter to connect to a vCenter server or vSphere ESXi host. In Add vCenter, specify a friendly name for the server. Then, specify the IP address or FQDN. Leave the port set to 443, unless your VMware servers listen for requests on a different port. Select the account SVC-AzureSR to use for connecting to the server. Click OK.
Seat back and relax for Azure Site Recovery to discover VMs. Step10: Select and verify target resources. Click Prepare infrastructure > Target, and select the Azure subscription you want to use. Specify whether your target deployment model is Resource Manager-based, or classic. Site Recovery checks that you have one or more compatible Azure storage accounts and networks. Click on the Recovery Service vault named CorpVault. To create a replication policy, click Site Recovery infrastructure > Replication Policies > +Replication Policy. In Create replication policy, specify a policy name VMwareRepPolicy. In RPO threshold, use the default of 60 minutes. This value defines how often recovery points are created. An alert is generated if continuous replication exceeds this limit. In Recovery point retention, use the default of 24 hours for how long the retention window is for each recovery point. For this tutorial we select 72 hours. Replicated VMs can be recovered to any point in a window. In App-consistent snapshot frequency, use the default of 60 minutes for the frequency that application-consistent snapshots are created. Click OK to create the policy. The policy is automatically associated with the configuration server. By default, a matching policy is automatically created for failback. In Machine type, select Virtual Machines. In vCenter/vSphere Hypervisor, select the vCenter server that manages the vSphere host, or select the host. Select the process server (configuration server). Then click OK. In Target, select the subscription and the resource group in which you want to create the failed over VMs. Choose the deployment model that you want to use in Azure (classic or resource management), for the failed over VMs. In Virtual Machines > Select virtual machines, click and select each machine you want to replicate. You can only select machines for which replication can be enabled. Then click OK.
Click Enable Replication. You can track progress of the Enable Protection job in Settings > Jobs > Site Recovery Jobs. In Protected Items, click Replicated Items > VM. In the Replicated item pane, there’s a summary of VM information, health status, and the latest available recovery points. Click Properties to view more details. You can view and modify network settings, including the network/subnet in which the Azure VM will be located after failover, and the IP address that will be assigned to it. In Disks, you can see information about the operating system and data disks on the VM. In Settings > Replicated Items, click the VM > +Test Failover. Latest processed : Fails the VM over to the latest recovery point that was processed by Site Recovery. The time stamp is shown. With this option, no time is spent processing data, so it provides a low RTO (recovery time objective). In Test Failover, select the target Azure network to which Azure VMs will be connected after failover occurs. Click OK to begin the failover. You can track progress by clicking on the VM to open its properties. Or you can click the Test Failover job in vault name > Settings > Jobs > Site Recovery jobs. After the failover finishes, the replica Azure VM appears in the Azure portal > Virtual Machines. Check that the VM is the appropriate size, that it’s connected to the right network, and that it’s running. To delete Azure VMs created during the test failover, click Cleanup test failover on the recovery plan. In Settings > Replicated items click the VM > Failover. Latest (default): This option first processes all the data sent to Site Recovery. It provides the lowest RPO (Recovery Point Objective) because the Azure VM created after failover has all the data that was replicated to Site Recovery when the failover was triggered. Latest processed: This option fails over the VM to the latest recovery point processed by Site Recovery. This option provides a low RTO (Recovery Time Objective), because no time is spent processing unprocessed data. Latest app-consistent: This option fails over the VM to the latest app-consistent recovery point processed by Site Recovery. Custom: Specify a recovery point. If you prepared to connect to the Azure VM, connect to validate it after the failover. After you verify, Commit the failover. This deletes all the available recovery points. Don’t Cancel the Task. Seat back, relax, take a coffee break. If you cancel a failover in progress, failover stops, but the VM won’t replicate again. Note: This procedure presumes that the on-premises VM isn’t available and you’re re-protecting to an alternate location. In Settings > Replicated items, right-click the VM that was failed over and Re-Protect. In Re-protect, verify that Azure to On-premises, is selected. Specify the on-premises master target server, and the process server. In Datastore, select the master target datastore to which you want to recover the disks on-premises. Use this option when the on-premises VM has been deleted, and you need to create new disks. This settings is ignored if the disks already exist, but you do need to specify a value. Select the master target retention drive. The failback policy is automatically selected. Click OK to begin re-protection. A job begins to replicate the virtual machine from Azure to the on-premises site. You can track the progress on the Jobs tab. On the Replicated Items page, right-click the machine > Unplanned Failover. In Confirm Failover, verify that the failover direction is from Azure. Select the recovery point that you want to use for the failover. An app-consistent recovery point occurs before the most recent point in time, and it will cause some data loss. When failover runs, Site Recovery shuts down the Azure VMs, and boots up the on-premises VM. There will be some downtime, so choose an appropriate time. Right-click the machine, and click Commit. This triggers a job that removes the Azure VMs. Verify that Azure VMs have been shut down as expected. In the vault > Settings >Replicated Items, select the failed back VMs that have failed back, and click Re-Protect. Select the process server that is used to send the replicated data to Azure, and click OK.
Click on Wake on LAN Tab, Check Enable Wake on LAN, Check Use Power on commands if the computers support technology, Check Unicast. you can select Subnet directed broadcast if your switch support subnet directed broadcast. To use Wake on LAN functionality, always check Enable Wake on LAN in the schedule of deployment of any software. There are lots of third party tools you can use to deploy wake on lan such as manageengine, solarwinds and specopssoft wake on lan tools. The painful part of this process would be, in some computer you have to go bios settings and set wake on lan on in power management. If you have dell pc, you can use dell client configuration utilities. 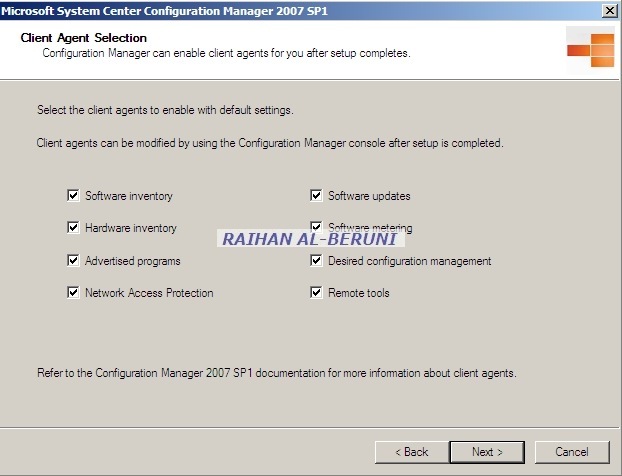 System Centre Configuration Manager 2007 R2 is built with Microsoft Operation Framework and IT Information Library. 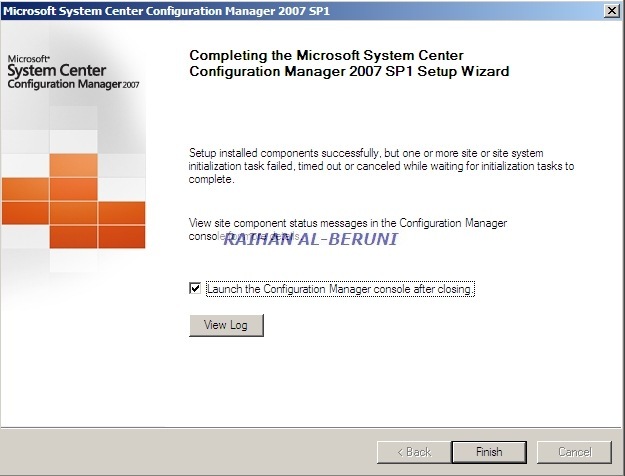 Most common uses of System Centre Configuration Manager (SCCM) are software and operating systems deployment. But you can do more then these two common use. SCCM is also used for configuration management, change management, operation management, Assets, Update, patches, driver management, software metering and lots more. Here, I am going to talk basic installation and configuration of SCCM as most of the config and requirements would be different in different organisation. 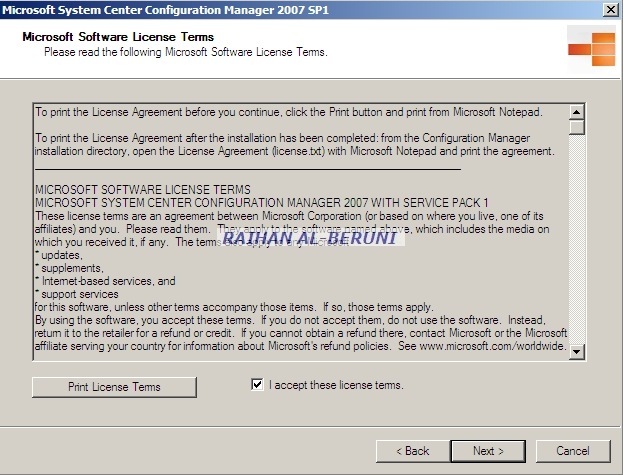 To install SCCM in native mode, you need certificates to be installed in SCCM server. You just finish installing SCCM. Now you have install WSUS. 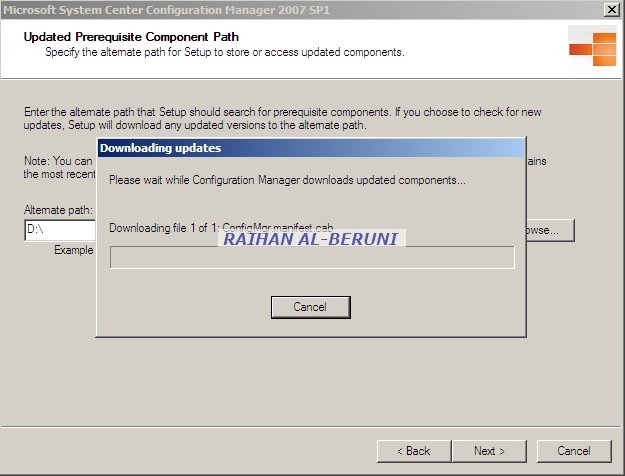 A complete Guide is available in WSUS Installation link. In this part, you have to determine what you want to config and achieve through this deployment. Here, I am going to tell pretty basic config and where to go in SCCM R2 console to do admin tasks. However, I reckon, after going through this config you will be able to work around and understand configuration of SCCM you need. There are several roles available here, you have to make choice of roles depending on your deployment structure and plan. These above task are incomplete because you have to decide IP range, discovery methods and client push property. This is pretty simple part, you have to package software which you one to deploy and advertise them through SCCM console. 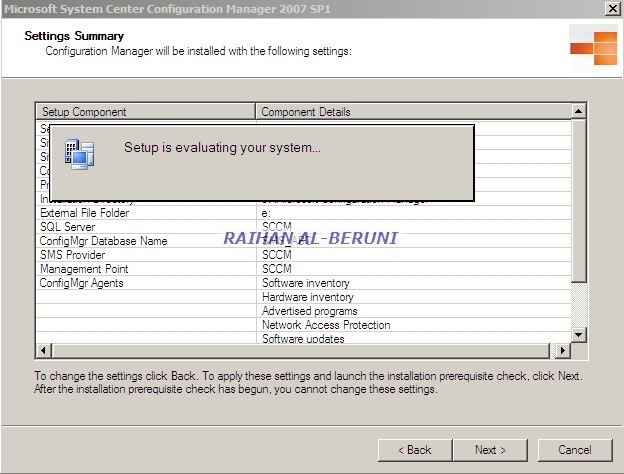 In the Configuration Manager console, go to System Center Configuration Manager>Site Database>Site Management> Site Settings>Site Systems. Right-click Site Systems> click New>choose Server. Right-click the site system you want to use, and then click New Roles. This part is basically integrating WSUS with SCCM. 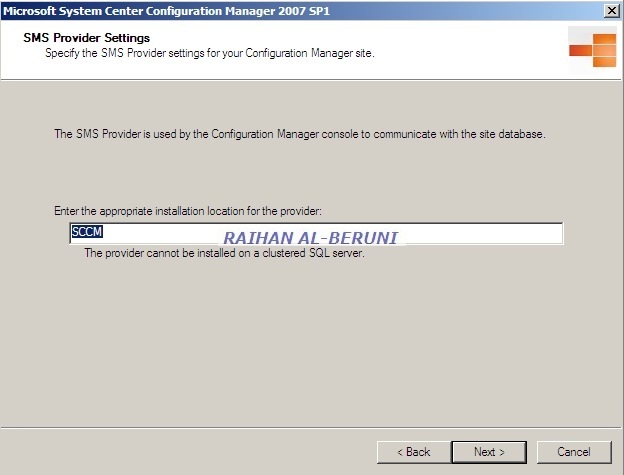 WSUS and SCCM can be single server or separate server. You have to make secure of http port because SCCM’s default http port config is port 80 and WSUS can be deployed using port 8530. From within the Configuration Manager console, expand Site Database>Computer Management>Operating System Deployment> select Boot Images. You will notice two boot images for various platforms, one for x64 bit (Boot Image [x64]) and the other for x86 devices. For the purpose of this book, we will concentrate on the x86 boot images, but there is basically no difference in configuring one or the other. 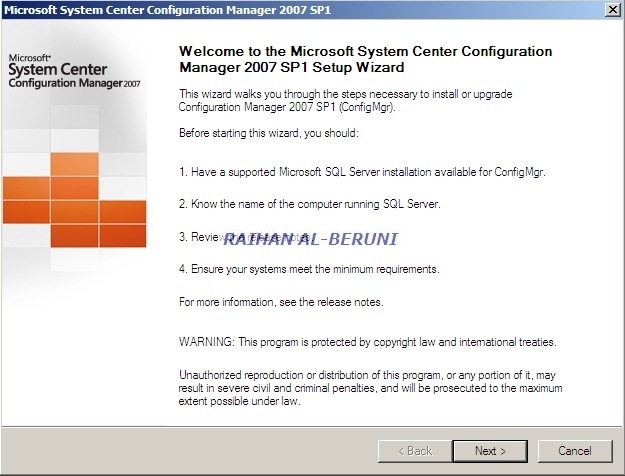 The images are configured during the installation of Configuration Manager 2007. However, there are no distribution points assigned for either of the boot images. To configure a distribution point, expand Boot Images>Boot Image (x86), and click Distribution Points. Right-click Distribution Points, and select New Distribution Point. This opens the New Distribution Points Wizard’s Welcome page; click Next to continue. Select the distribution point you want to use on the Copy Package page, and click Next. Then on the Wizard Completed page, click Close. It will take some time to copy the boot image package up to the distribution point. 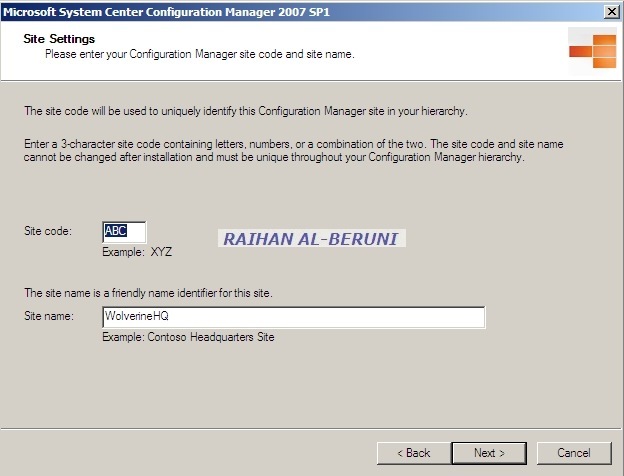 In the Configuration Manager console, expand Site Database> Computer Management>Operating System Deployment. From within the Operating System Deployment node>right-click Task Sequences>select Create Task Sequence Media. On the Select Media Type page, select Capture Media, and then click Next. By selecting Capture Media, you will be creating the capture media that will be used to capture the operating system image. On the wizard’s Media Type page, you can select the type of media to create. For this example, select DVD Set, specifying the media file location, and click Next. On the Boot Image page, specify the boot image and distribution point you want to use. Click Browse, and select the boot image. Click Next to continue. Click Next on the Summary page, and Configuration Manager 2007 will begin creating the capture media ISO file. Finally, you will be presented with the Wizard Completed page, where you can click Close. You can now burn that ISO file to a DVD and use that DVD to boot up the computers in which you will be building your operating system image. Clicking Next opens the Image Destination page, allowing you to specify where to copy the image when the capture is completed. Fill in the correct information>click Next. As you can see, we copied the WIM file to our site server. You will now be able to add some information about the image on the Image Information page. This page allows you to fill in the Created By, Windows Version, and Description fields for the WIM file. On the Summary page, click Finish to begin the capture phase. An Installation Progress window appears, telling you that the capture wizard is working and running in the background. When the capture is complete, a System Restart message will appear, and the system will reboot.When the system reboots, it will boot into WinPE, begin the capture phase of the system. You have wait for while for operating system is being captured. Once the image capture is complete, you will be prompted with the Image Capture Wizard success message. Clicking OK will allow the machine to reboot and return to the operating system. Open the Configuration Manager console, and expand Site Database>Computer Management>Operating System Deployment. The WIM file that you just created needs to be created as an available operating system for Configuration Manager 2007. To add this WIM file, click Operating System Images under the Operating System Deployment node, and click Add Operating System Image from the Action pane. This opens the Add Operating System Image Wizard’s Data Source page, Ensure that the Path field points to the location where the WIM file was created, and click Next. The General page, allows you to customize the Name, Windows Version and personalized Comments fields for the image file. Fill in the appropriate information, and click Next. The Summary page will be displayed, so click Next, and then finally the Wizard Completed screen will appear. On this page, click Close. Expand Site Database>Computer Management >Operating System Deployment> Operating Systems Images, and expand the image. You will see the same node structure under this package as you would for a normal package. New Distribution Point Wizard will display, allowing you to select the distribution point you want to use to distribute the image file. To verify that the package has been successfully installed on the distribution point, while in the Operating System Images node, expand the Windows OS folder, expand the Package Status node, and click the Package Status folder. Within this folder, you will see the status of the package. When the package has been successfully installed on the distribution point, the Installed column will change from 0 to 1. This presents a list of all the site systems configured within your environment. Expand the Site Systems node, and select the server to which you want to add the role of PXE site service point. Right-click the server, and select New Roles. On the New Site Role Wizard General page, click Next. You will see the PXE Service Point Configuration dialog box. 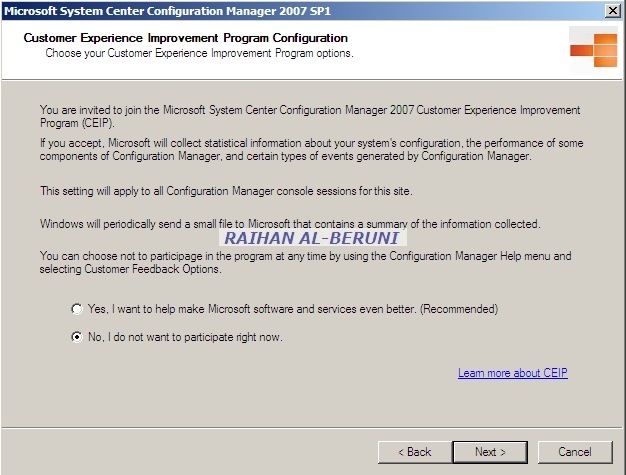 This dialog box informs you that Configuration Manager 2007 must have some UDP ports opened on the server. Click Yes to continue enabling a PXE service point. The New Site Role Wizard continues and presents the PXE>General page, This will allow you to configure how Configuration Manager allows incoming PXE requests. Click Next when you’re done. Next the PXE Database page appears, allowing you to configure the account to use to connect with the database. After you have configured the settings on this page, click Next. On the Summary page, click Next to apply the settings, and configure the PXE service point. Now you have to create a task Sequence for deployment, advertising the task sequence and setup a Computer Association. This is just starting point of SCCM. There are heaps of task need to be completed before you can enjoy full functionality of SCCM. I would recommend further study on MOF and SCCM .